Experience rare single level living in this amazing Del Sur home. 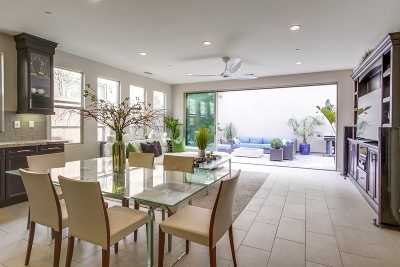 This impeccable home boasts luxurious upgrades throughout and a fresh modern décor! 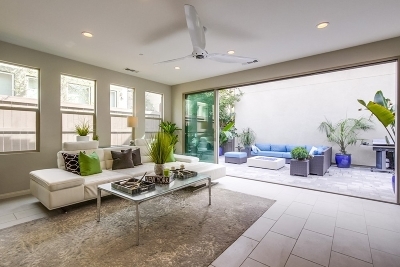 A wall of windows overlooks a beautiful outdoor space and floods the home with natural light. 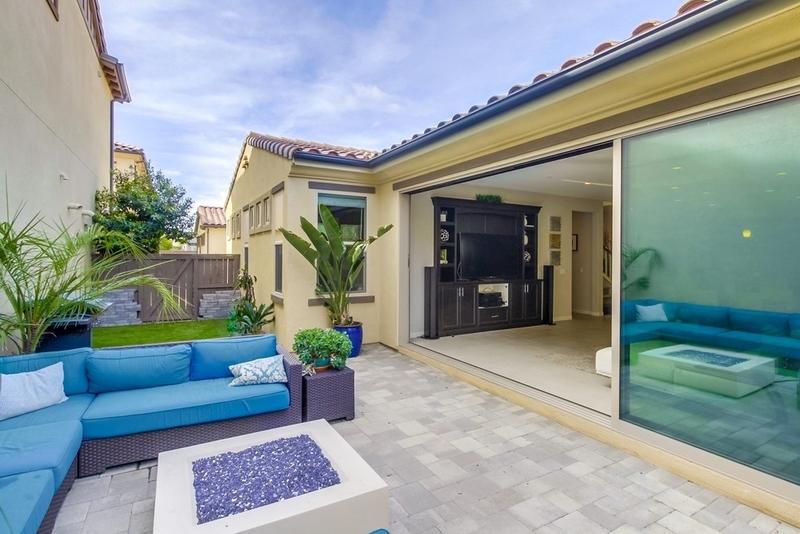 Panoramic door opens entire back wall of the great room to the tranquil patio. 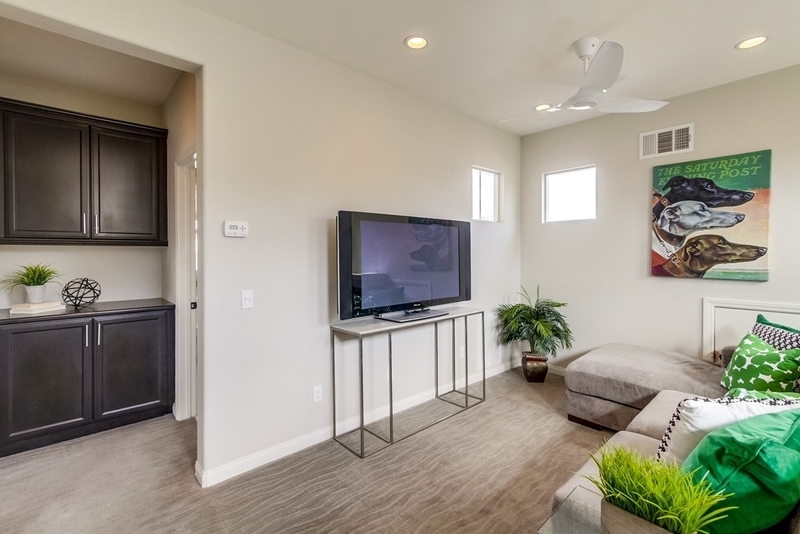 All your daily needs are on the main level, including: Master suite, secondary bedroom/office. Buyer to pay Del Sur transfer fee; .025 percent of sale price., Amazing and tastefully upgraded modern and bright Del Sur home! 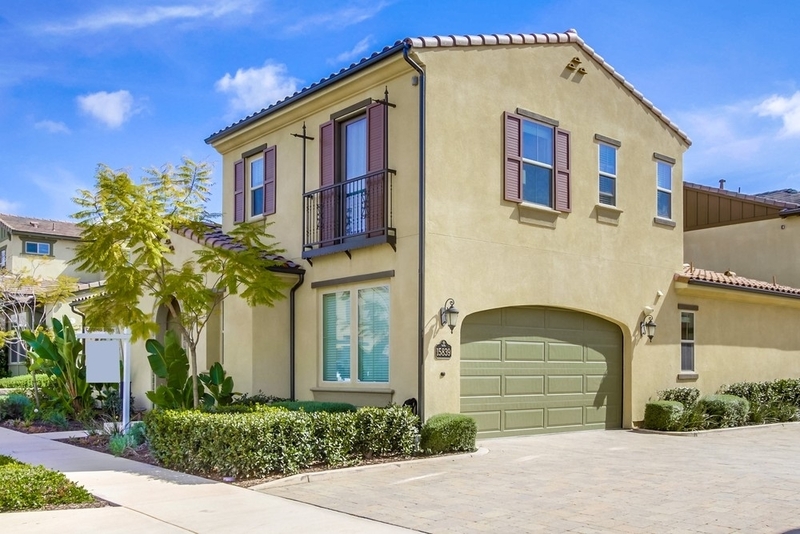 This 4 bedroom, 3 bathroom home sits on a quiet street and is conveniently located in the heart of Del Sur! 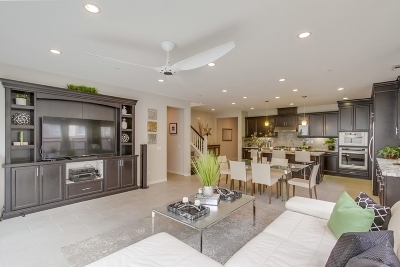 Upon entering the home, you will immediately be wowed by the amount of natural, bright light. 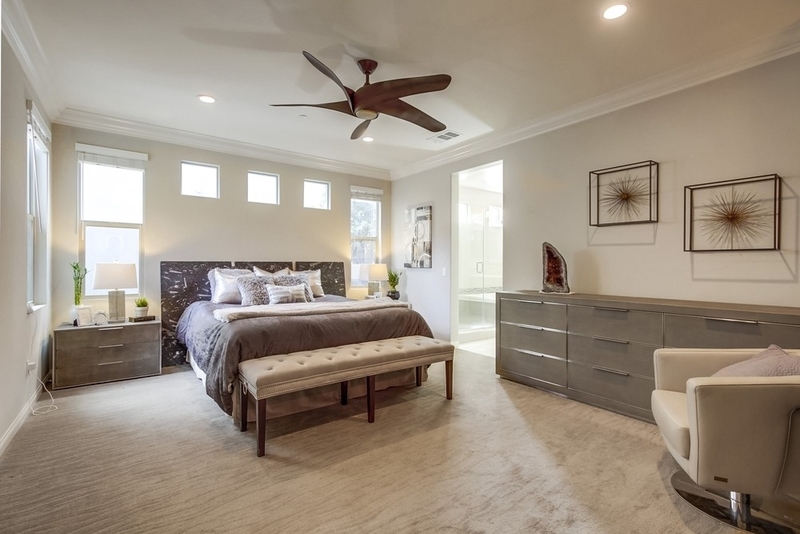 This rare property features a highly desirable downstairs Master Bedroom Retreat. 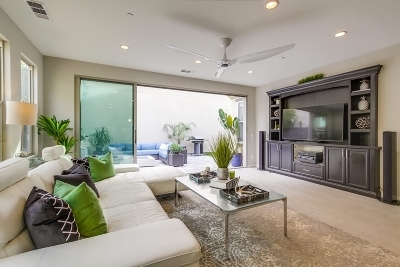 This expansive room features custom built-in entertainment niche/dresser and tall 10' ceilings. 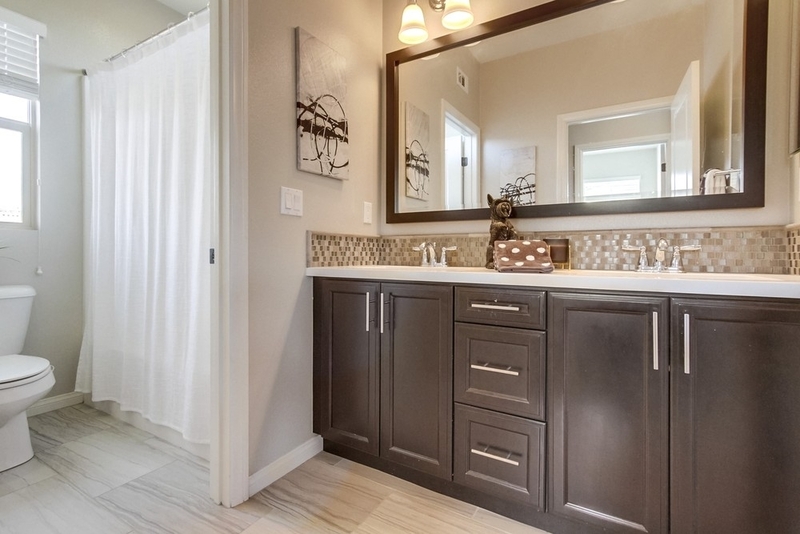 The attached master bathroom features a separate spa like shower, soaking tub, dual sink vanities with tile backsplash, white countertops, and rich dark espresso cabinetry that continues the amazing contemporary theme throughout. Spectacular walk in master closet has seemingly endless shelving and storage capabilities with built in organizational unit. 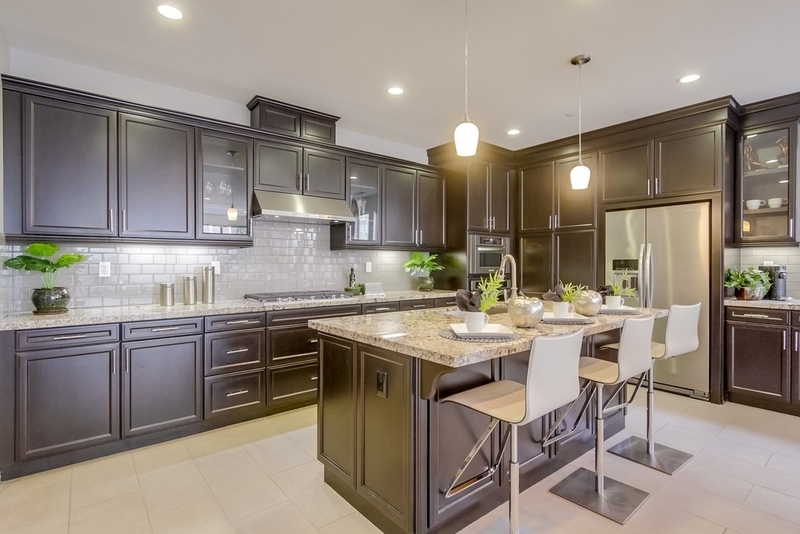 You will fall in love with the gourmet kitchen which boasts granite countertops, espresso cabinetry and stainless steel appliances including a chefs 6 burner gas stove top! There is ample cabinet space throughout this kitchen and extended countertop space will make cooking a breeze! 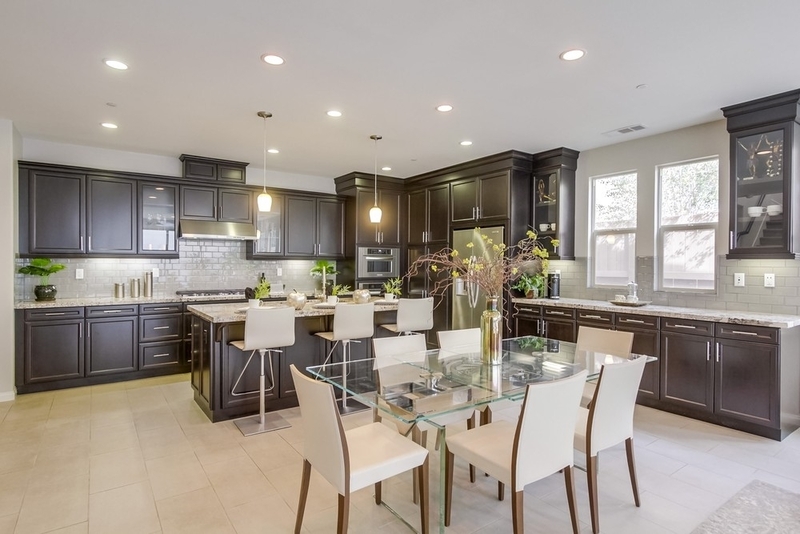 Large center prep island is perfect for entertaining and has barstool seating for up to 4! 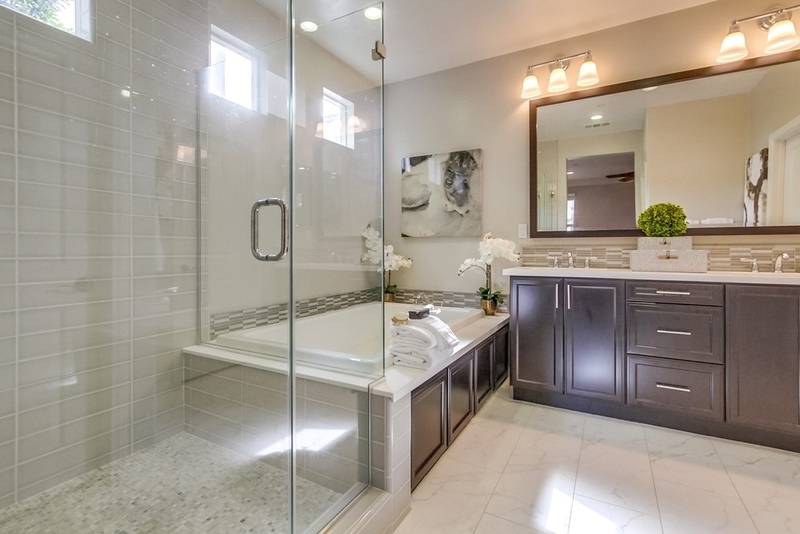 The custom tile backsplash adds to this fresh modern feel! 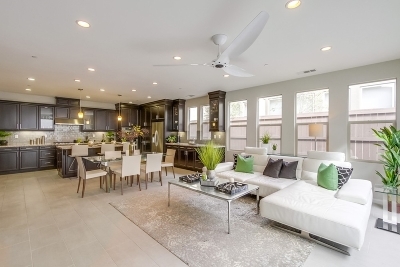 The kitchen connects seamlessly to the dining area and Great Room. Enjoy a unique area to gather and relax with friends and family that features built in entertainment niche. 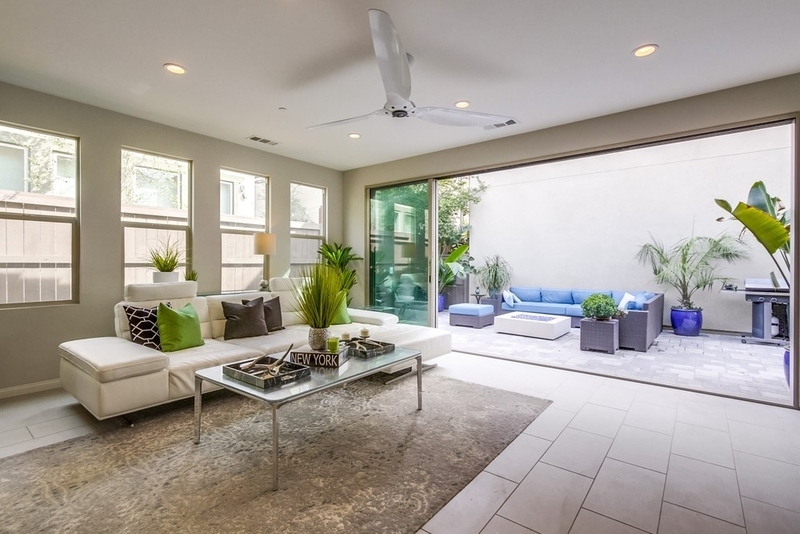 The panoramic doors open to the paved patio area adding to the So Cal indoor/outdoor living feel. 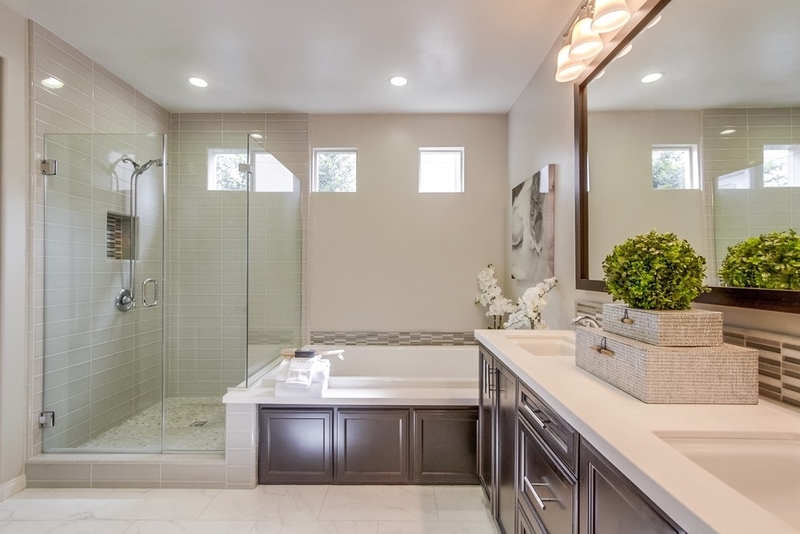 Also on the main floor is a sizable 2nd bedroom, complete with its own full bath and tiled spa like shower. 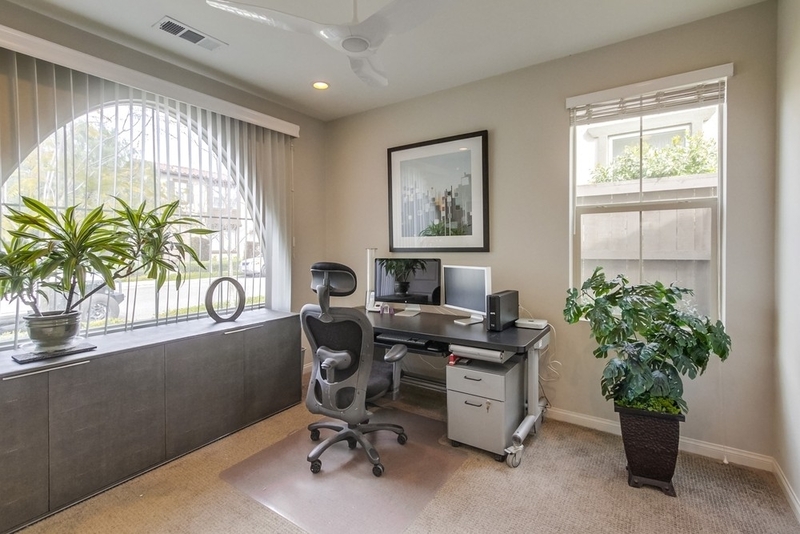 This space is perfect for a downstairs office or guest room. 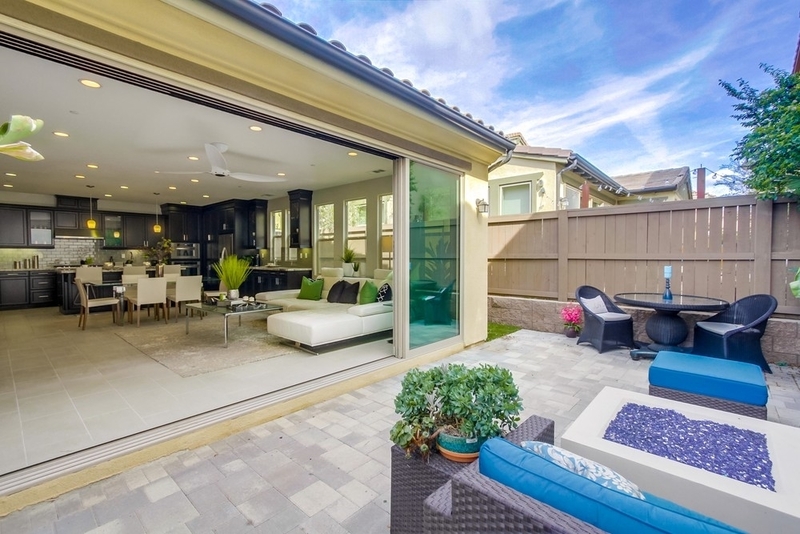 Outside, you will find your private backyard patio space with gas burning fire pit, outdoor sitting area, and turf section! 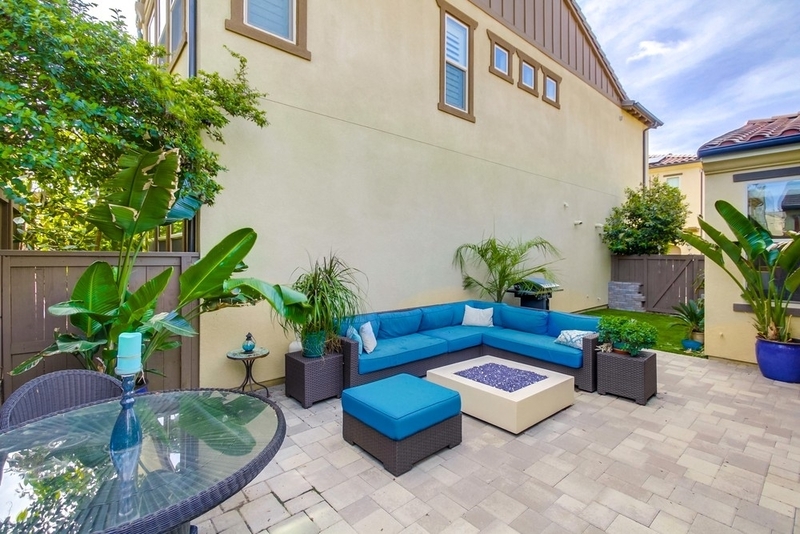 Side yard space allows opportunity to garden and enjoy plenty of room for a BBQ! 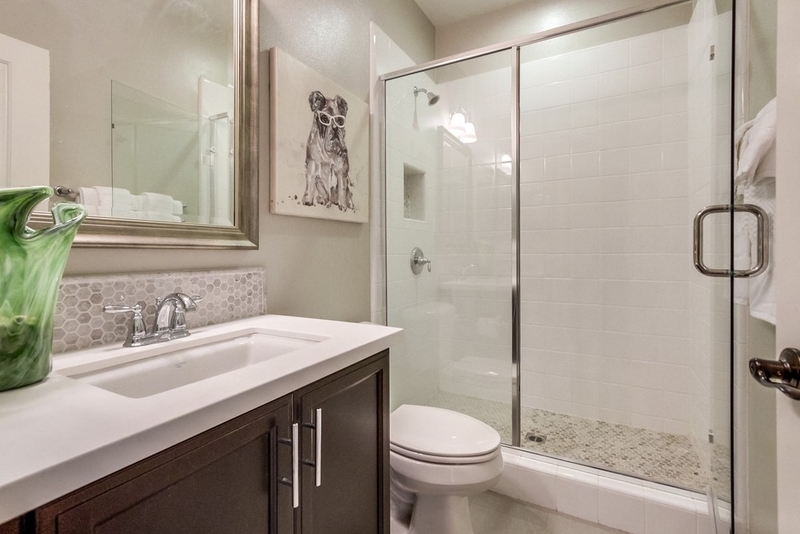 Upstairs, you will find 2 additional spacious bedrooms that share a full bathroom with dual sink vanity, beautiful white countertops, and shower/tub combo! 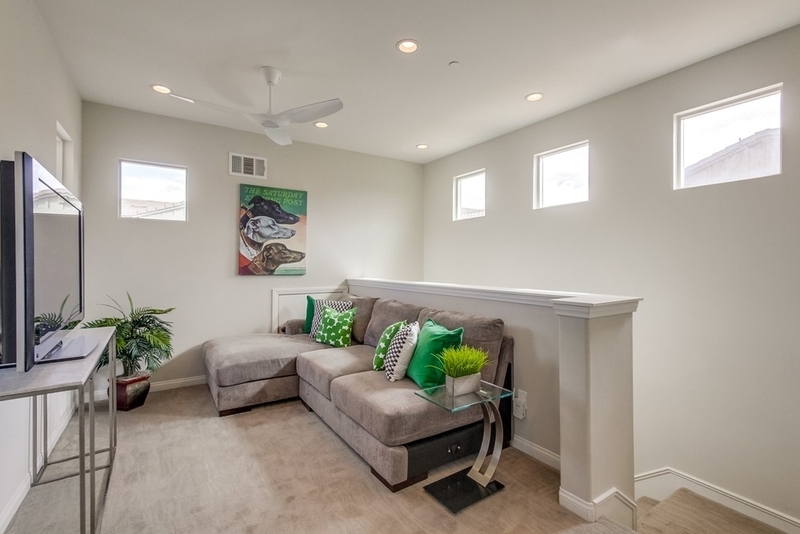 A loft area also allows for an in home office space, kids play space, or cozy entertainment area! 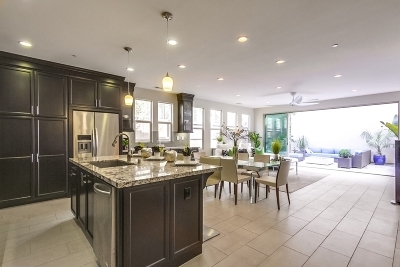 This amazing home also features a large 2 car garage! This wonderful home is in the highly-sought after Del Sur community that is just minutes from everything! Most services such as gyms, groceries, shopping, and medical offices are within 2 miles and over 72 restaurants within 5 miles! 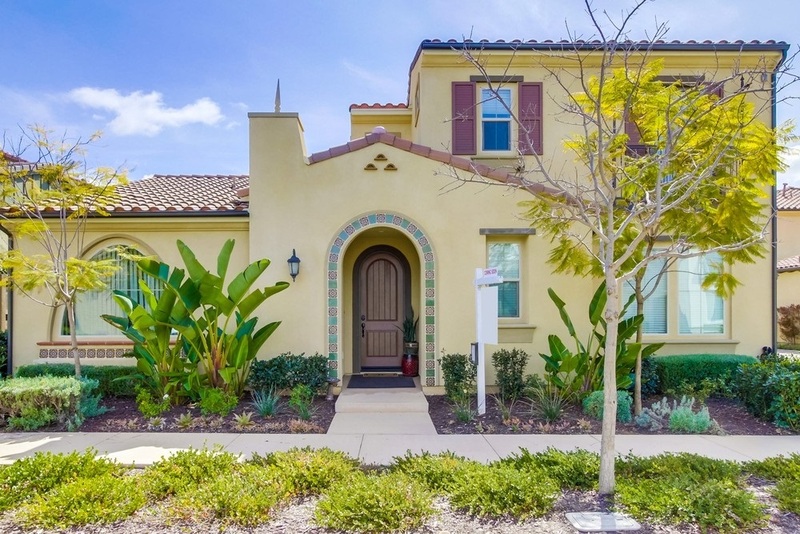 Award winning Poway Unified School District which includes Del Sur Elementary School, Design 39, Oak Valley Middle School, and Del Norte High School are all within 2 miles! Enjoy the Southern California weather with 28 golf courses, 24 parks, and 4 hiking reserves all within 10 miles! 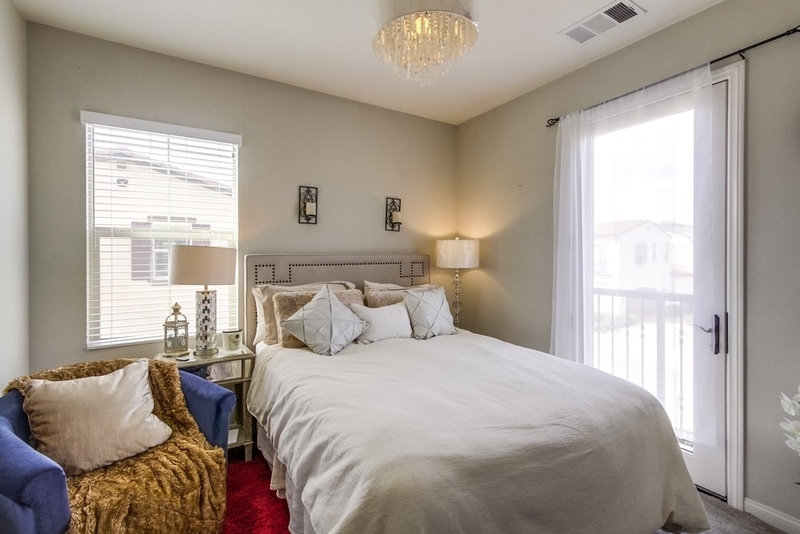 Dog parks are directly across the street and other larger parks and hiking trails just around the corner. 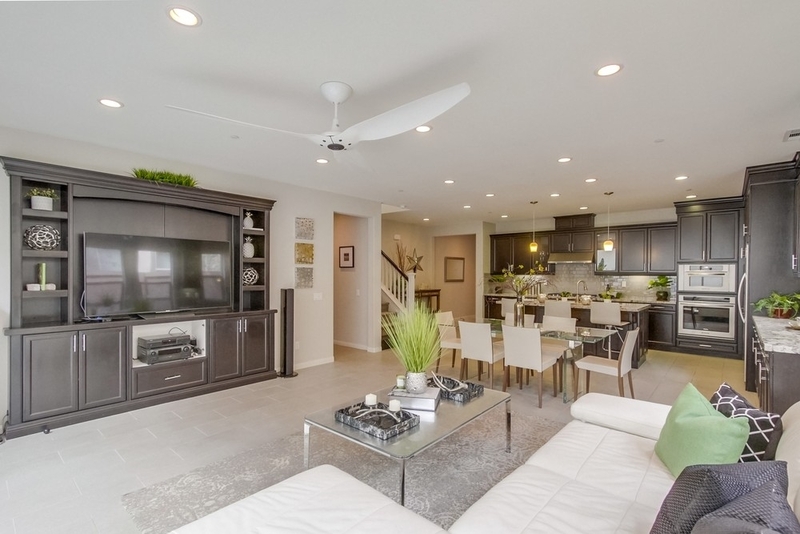 Residents also can enjoy easy access to 14 community parks and 13 private pools including newly installed pools and kids exclusive pools. 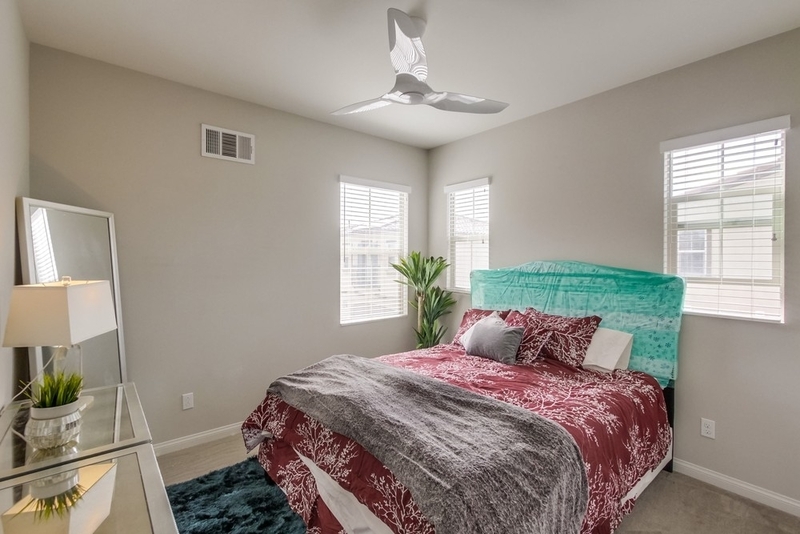 Just a few driving minutes away from I15 and CA-56 freeways! Brought to you by the Butler Gore Realty Group.